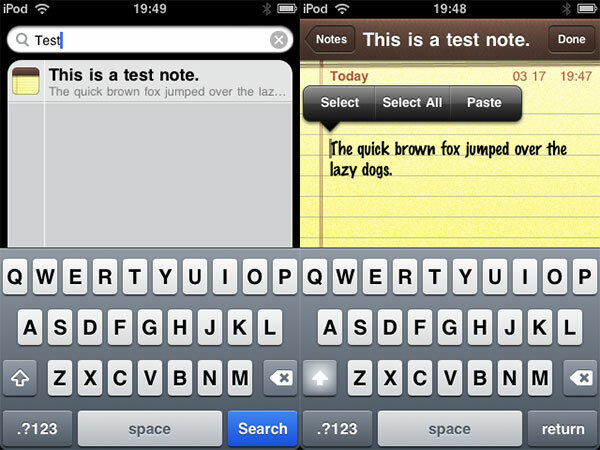 Another long-awaited feature—text “Cut and Paste”—has been added to the iPhone OS in the form of a unique and simple “double tap” interface. Double-tapping on text within most of the key apps now results in the appearance of a light highlighter box and bars that can be touched and dragged to the left and right of existing text. Grabbing a bar brings up a magnifying glass to show you more precisely where the bar currently ends. When you’re done selecting the text, a black pop-up word bubble appears with three context-sensitive buttons inside. That bubble will contain Cut, Copy, and Paste options if nothing has previously been cut or copied into the iPhone’s clipboard. When something is in the clipboard, it offers Select, Select All, and Paste features, enabling you to erase part or all of the current text on screen in the process of pasting new text from the clipboard. 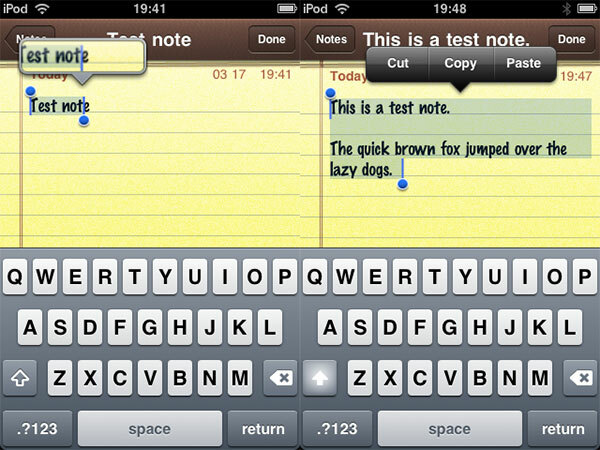 Text, including HTML from web pages, can be selected in one application and pasted into another. Photos, including multiple photos, can separately be selected in one application and pasted into another. As the only new icon-based application added to iPhone OS 3.0, Voice Memos presently does not appear on the iPhone’s Home screen by default. It will not work on the first-generation iPod touch, but it does work on the original iPhone, iPhone 3G, and second-generation iPod touch. 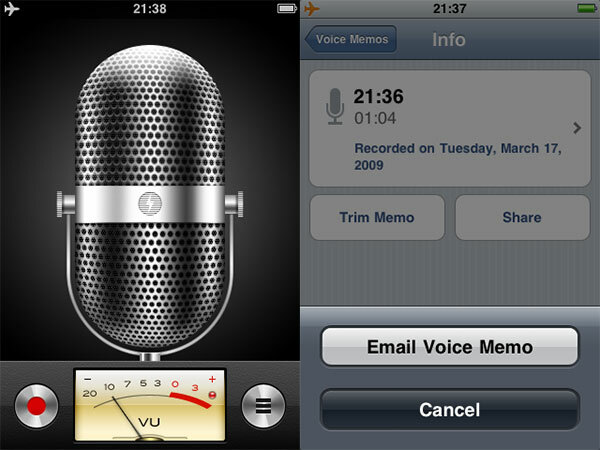 With an old-fashioned microphone taking up almost all of the screen, a similarly old recording level indicator, and buttons at the bottom for recording and menu options, Voice Memos serves several purposes: first, it lets you record audio from either the integrated iPhone mic or a mic attached to the iPhone or iPod touch. Second, it lets you easily trim the recording by dragging sliders to mark the beginning and end of the portion of the sample you want to preserve, and third, it lets you send the voice memo to yourself or others through e-mail. 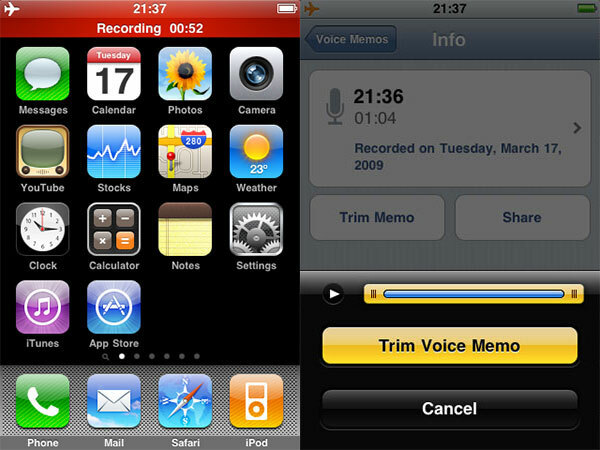 Also interesting is the fact that Voice Memos is capable of running in the background, unlike any previously released third-party recording application for the iPod touch or iPhone. 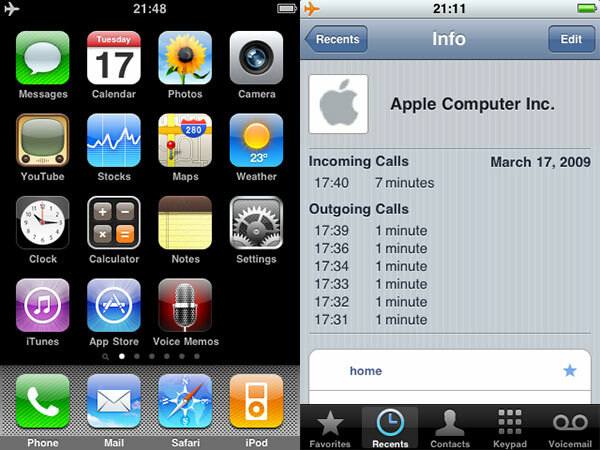 Like the Nike+ application for iPod touch, it displays a red recording bar at the top of the screen while it’s running, which can be touched to instantly bring you back to the application. It does not work during phone calls. After a teardown by iFixit, everyone knew that the iPod touch 2G had a Bluetooth chip inside, but it was barely being used: Apple had repurposed it as a way to communicate with the Nike+ Sensor for exercise purposes. 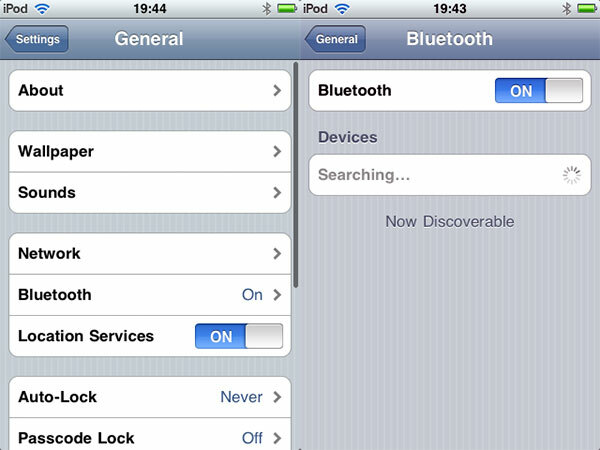 Meanwhile, the iPhone and iPhone 3G both contained Bluetooth chips, which Apple used only for a single purpose: enabling monaural wireless earpieces and car kits to transmit voices back and forth with the Phone application. 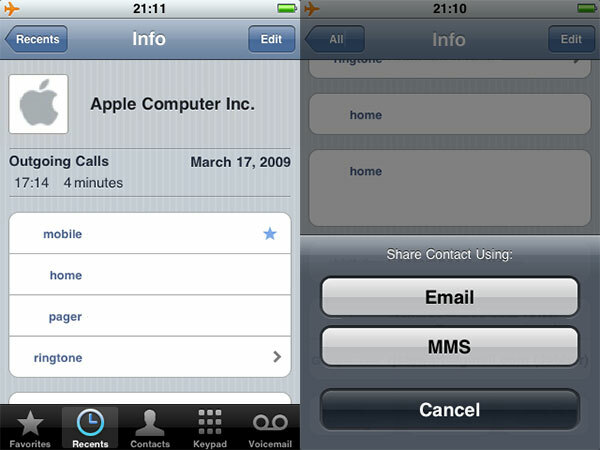 In iPhone OS 3.0, Apple both acknowledges and unlocks the iPod touch 2G’s Bluetooth potential, while expanding the Bluetooth capabilities of the iPhone 3G. Now, both devices will be capable of streaming stereo Bluetooth audio, as well as connecting to other Bluetooth-capable iPod touch or iPhone devices for same room (~30-foot) gaming and other multi-user applications. Data sharing, including streaming of one user’s audio to another user’s iPod or iPhone, is said to be possible. Software support for as-yet-unreleased Bluetooth-based hardware accessories is also being added. Note that the original iPod touch will not support this functionality, and the original iPhone will not support stereo Bluetooth. Additional details on the sound quality and related functionality of Bluetooth audio are not yet available; limitations of the data transmission features have also not yet been disclosed. Though obvious changes to the Phone application are minor, there are a couple that are worth mentioning. The application now keeps a log of your recent calls to specific contacts, offering both individual call details and a pooled call information screen as varying levels of detail.